Several Native American tribes, all separated by some distance, have a similar legend: that a race of white giants once walked the Earth but were eventually wiped out. 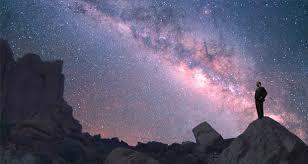 “Innumerable moons ago, a race of white men, 10 feet high, and far more rich and powerful than any white people now living, here inhabited a large range of country, extending from the rising to the setting sun. Their fortifications crowned the summits of the mountains, protecting their populous cities situated in the intervening valleys. Rolling Thunder stated that the Great Spirit wiped out the white giants when they forgot justice and mercy and became too proud. The Choctaw tribe told of a race of giants that once inhabited what is now Tennessee. Their ancestors fought against them when they arrived in Mississippi during their westward migration. Their tradition talks of the Nahullo, their name for the giant race, and their wonderful stature. According to the Manta people of Peru, there were once giants that lived among them. According to their legend: “There arrived on the coast, in boats made of reeds, as big as large ships, a party of men of such size that, from the knee downwards, their height was as great as the entire height of an ordinary man, though he might be of good stature. 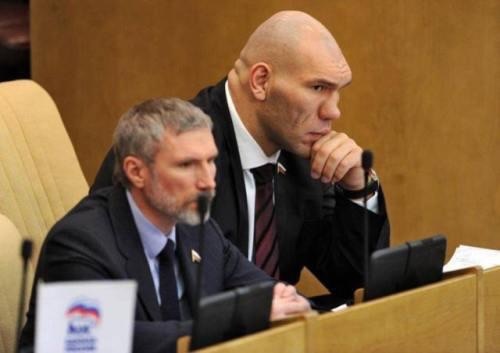 Their limbs were all in proportion to the deformed size of their bodies, and it was a monstrous thing to see their heads, with hair reaching to the shoulders. Their eyes were as large as small plates.” The natives believe that heaven wiped them out due to their sexual habits, which the natives found revolting. The Paiutes have an oral legend of red-haired, white cannibals that stood about 10 feet tall and lived near Lovelock Cave, Nevada. It’s hard to know for sure if this oral tradition is true or if the truth has been distorted over time and these were just normal sized cannibals that lived near Lovelock Cave. Some similar Piutes legends feature the same story just without the giants. Archaeologists have found remains of people with red hair in the area, but black hair can turn red with time. 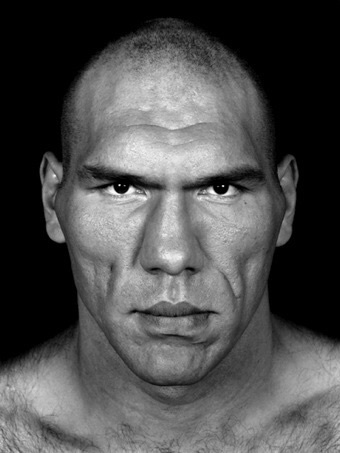 "Hey found bigfoot in Russian Parliament, this photo confirms coned head, distinct brow ridge, long upper lip, hooded nose, high shoulders, sloped back, bipedalism LOL his name is Nikolai Valuev a former heavyweight boxer hes 7 ft tall and is now a member of Russian parliament"
If being the tallest and heaviest heavyweight champion in history at 7 feet and 325 pounds, respectively, were not enough to bring attention to undefeated Nikolai Valuev, one need only imagine the looks of disbelief from boxing experts and novices alike when the Russian giant enters the ring not by the customary process of stepping through the ropes; he steps over them. These and many other anomalies are par for the course for this native of St. Petersburg, who has charted an unlikely course to become World Boxing Association champion. Actually "Tartars" (and in Germany, "Huns") refers primarily to the Asiatic nomad horsemen of about the Clasical age (Greece and Rome) BUT both names are also used to mean "Giant Warriors" and are translatable to the Scandinavian term "Iotun" (Giant) as direct replacements of one another: simlarly the Siberian Snowmen are commonly known by the term "Tungus" ordinarily assumed to mean the local Siberian population of "Tartars"
Putin ought to clone him for a race of real "super soldiers"